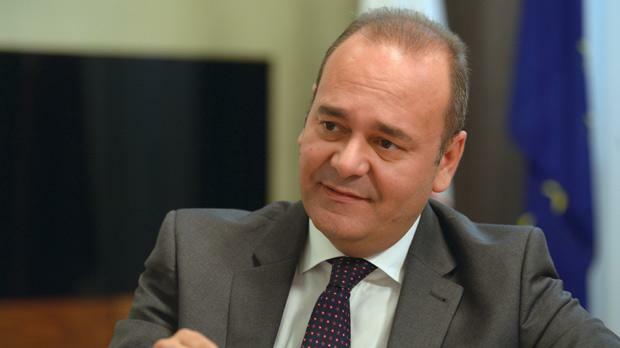 Amid controversies surrounding the appointment of Sai Mizzi Liang, the monti relocation and the turbulent times at government investment arm Mimcol, Economy Minister Chris Cardona seeks to set the record straight. Foreign Affairs Minister George Vella last week was unable to say where Malta’s special envoy to Asia, Sai Mizzi Liang, had been working from since her appointment two years ago. Can you clarify this matter once and for all? Rather than being based in one place, she went around agencies, and commercial entities in a bid to attract investment. The government has recently acquired an office in Shanghai, which is being used as an operations centre but will later host Malta’s consular office. A lot of the debate was ‘wasted’ on the fact she is Konrad Mizzi’s wife but little focus was made on her achievements. If I were in the shoes of the Opposition, most probably I would have flagged this as well, but would not have kicked up such a big fuss. One has to gauge her success in context with the results achieved by other consuls and special envoys. Was she working from home? As I said she used to go to potential investors herself. It is ironic we are debating such an issue at a time when it has just been announced that Chinese telecommunications company Huawei plan to use Malta as a test base for 5G technology. May I also point out that her salary is not €13,000 a month as the Opposition is claiming, but equivalent to those in similar posts intended to promote Maltese businesses, industry and investment. Are there any other tangible results she achieved so far? Last week we were in talks with representatives from the Shanghai Chamber of Commerce who visited Malta on her initiative. She has brought over several potential investors, and Mrs Mizzi Liang has contributed a lot to the financial services sector. How could potential investors contact her in the last two years? Interested parties approached Malta Enterprise, who in turn communicated with her. We never received complaints in this regard. 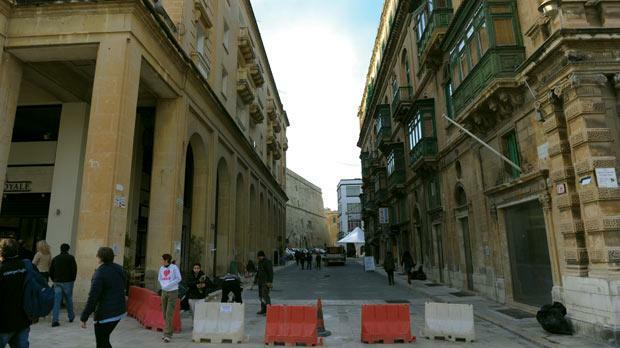 This ministry is also responsible for the relocation of the Valletta monti to Ordnance Street, which was halted at the start of the year following a public outrage against placing the stalls next to the new parliament building as well as their new design. Has a final decision been taken? This relocation has the potential to be a strong model for other open markets on the island. In this case, the issue is more sensitive due to the fact that Valletta is a Unesco world heritage site. When the original designs of the stalls were unveiled last January I immediately halted the process and issued an expression of interest for a better design. The submissions were evaluated by the Chamber of Architects and the new design, which will be unveiled in the coming days, makes artistic sense. What about the relocation to Ordnance Street? Aesthetically it does not make sense to have the stalls between the Opera House ruins and the new parliament. In addition, security concerns were also raised by the Speaker and the police. Definitely, no stalls will be allowed near the new parliament building. However, fitting all existing stalls on one side of Ordnance Street is not possible and so the government is seriously considering buying some licences to reduce the number of hawkers. How many licences need to be surrendered for the move to go ahead? I estimate that reducing between 10 to 15 stalls would be enough. Some hawkers have already expressed interest to sell their license. So when will the relocation take place? My forecast is to make the move before the start of the festive season, later this year. Last month, Vince Mifsud, the CEO of government’s investment arm Mimcol resigned amid disagreement over the recruitment process and complaints he was being circumvented. What is your reaction? Though he had been nominated by the PN administration, I felt it would be better to retain him as this was a sensitive post. I met him several times since the general election and my impression was that Mr Mifsud was happy. His resignation letter came as a surprise. As CEO, he should have flagged these issues to the board of directors, which he did not. Mr Mifsud was also offered to remain as a consultant to ensure a smooth transition until the appointment of his successor, but he refused. In view of this, I feel there was not that much good faith from his side. In the coming days, the ministry will issue a public call to fill this post. In a recent parliamentary question it was revealed that Mr Mifsud’s annual salary was €119,000. Will his successor have the same package? Between 2011 and 2013, Mr Mifsud pocketed €320,000 as he also served on other boards. I don’t think we should issue a call with a remuneration package to the tune of €160,000. However, one needs to consider the packages being offered in the private sector. But how can a CEO of a public entity be paid twice as much as the minister who ultimately is the one who shoulders all responsibility? I will not comment on my wage as I will burst into tears! Your ministry received a barrage of criticism over the appointment of 18-year-old Karl Cutajar as director of a newly set-up government security company, Fort Security Services. Mr Cutajar has resigned, but is the company still active? Its role was to contract services on behalf of the government. In this case Fort Security Services will engage security officers on a self-employed basis to look after the government’s assets, the Malta Shipbuilding which is in a process of liquidation. So their engagement will be on a definite contract. To date nobody has been employed by the company. Who has been appointed instead of Mr Cutajar? I have no idea. I should not interfere in internal administrative process of government entities as I would be going outside my remit. So who can tell us? Mimcol will tell you, obviously. The Opposition has recently used the term “it’s all in the family” to describe a number of appointments within entities falling under your ministry. These include the daughter of your chief of staff at the Malta Gaming Authority, his nephew (Mr Cutajar) at Fort Security Services, his brother at Freeport, and former police sergeant Clayton Fiteni (the cousin of your personal assistant) who was employed as Chief Security Officer at the Freeport. In addition you have a 25 per cent shareholding in a company (Sapmac Limited) whose director is also your chief of staff. Does this not smack of nepotism to the man in the street? Let me tackle them all one by one. Karl Cutajar was a senior clerk at Mimcol and was appointed director following a proper recruitment process. Comparisons are odious. Former Minister Austin Gatt had employed his cousin [Tancred Tabone] as chairman of a public entity. As for the daughter of the chief of staff, she no longer works at the Gaming Authority. Her stint there was only limited to the period when she was studying to become a lawyer. Mr Fiteni was appointed on a person-of-trust basis. Why not issue a public call in Mr Fiteni’s case? Who said that only Ernest Tonna [who had been appointed by a PN government] could fill that post? Mr Tonna’s credentials were that he formed part of the Tal-Ġakketta Blu group, whereas Mr Fiteni served impeccably in the police force under various administrations. In addition, Mr Fiteni is getting paid much less than Mr Tonna whose annual salary was of €46,000. In June last year government issued an expression of interest for the derelict White Rocks complex, in line with the government’s vision to transform this site into an upmarket real estate area, including five-star hotels and luxury units. What progress has been registered so far? Last February, a total of 11 submissions were deemed eligible to participate in the request of proposals by the privatisation unit. Subsequently, the evaluating committee commissioned the faculty of architecture at the University of Malta to compile a land-use report on how to make best use of the available footprint for each proposal. This report which was only present a few days ago, will enable us to issue an advanced request for proposals. By the end of summer we should have much more detailed proposals from the bidders. I am determined that this project starts before the next general election, unlike previous attempts by Nationalists administrations which never materialised. A few months ago government announced that Ablecare Limited had been chosen as the preferred bidder for the setting up of a maritime hub at the former shipbuilding site. How are negotiations progressing? One of the major potential stumbling blocks was the dredging of the area, due to the presence of heavy metals and mercury which in large amounts might be hazardous. Fortunately, from a survey carried out by Ablecare, it transpired that dredging would not pose any environmental risks. Negotiations are focusing on the proposed 45-year emphyteusis agreement and to ensure that this will be a sustainable development which would give added value to Malta’s economy. Since Ablecare would not take the entire footprint spread over 175,000 square metres, the government is also holding talks with other bidders that had been shortlisted when this call was issued, to maximise the use of the site. In addition, the government is considering relocating a public entity strongly linked with this sector to this site. I am informed government is seeking to award a second casino concession, even though it has already granted one to the Eden Leisure Group. Would you confirm such reports? The adjudicating board which last year had granted the concession to Eden Leisure has recommended starting negotiations with Dragonara Gaming Limited  the second preferred bidder  as it made geographic and economic sense to have another casino in the northern part of the island. Once negotiations are over, the government will decide on the basis of the recommendations put forward to it. Is this being done to quell the controversy sparked by Dragonara Casino, which had taken the issue to court accusing the government of conducting a vitiated process? We are following the recommendations of the unit, which has no interest in this issue. Our job is to ensure this process is handled in a transparent and accountable manner. In the 2014 Budget, the government had announced plans to reform the Sunday trading laws. Has this reform been relegated to the back burner? Till now we have been consulting government entities, stakeholders, unions, constituted bodies and finally we also sought the public’s opinion. The latter conveyed a strong message to redefine tourist designated areas where shops can remain open after normal hours. A number of amendments have been drafted and once these will be approved by Cabinet, we will then consult the Opposition and present the Bill in parliament. My target is to implement this reform next year.